What you do in the process of preparing your boat for storage is just as important as storing your boat in the first place. Like with an RV, your boat is an investment and not just of your money but also of your time in making priceless memories. Like with all investments, regardless of the monetary value, we all want to protect those items. Your boat is no different. Taking the time to carefully prep your expensive toy will ensure nothing goes wrong during its stint in boat storage. Below are 4 important tips to consider for storing your boat. Tip 1: Proper Support: This is highly important in regards to the structural integrity of your boat’s hull and frame. Just placing your boat, whatever its size, anywhere on dryland without proper support will only lead to distortion and warping of the hull. This will leave you with an unusable boat. There are several different ways to support your boat which include but are not limited to: Blocks, a custom boat cradle, or jack stands. There are a few areas to keep in mind when placing these supports such as the engines and keel. Tip 2: Water Drainage: When your boat is not in storage, it’s most often in water as such, when it’s time to prep it for storage and you pull it out of the water, pull your bilge plugs. If you do this first and get it set up on your supports you can angle the bow upwards to allow as much water to drain out as possible. In doing this first, you’ll save yourself a lot of time. While the water is draining, you can then clean it out as well as perform any maintenance that needs to be handled. Tip 3: Thoroughly Clean and Dry: Now that your boat is set up to drain water, you should make the most of your time by giving your boat a thorough scrub down as well as clearing out any and all food. Open every drawer, cabinet and compartment then take out every food item. Doing this will ensure your boat is free from any infestations while it is in storage. Also, scrub down every surface to clear it of bacteria and allow it to completely dry. Letting everything you have cleaned dry out will make sure that mildew and mold will not grow during the time your boat is in storage. Tip 4: Maintenance: Take the time to go over every surface both inside and outside of your boat, check in every nook and cranny for any maintenance you can perform. Taking care of torn sails, surface cracks or tarnish will give you more time to enjoy your boat when you’re ready to pull it out of storage. Also, fixing those cracks will make sure they don’t expand while in storage. The above tips are only a few of many that are out there in regards to boat storage. These four will help ensure your boat is ready to go into storage as well as make sure you can be out sailing when other’s are fixing up their own boats after you’ve pulled yours out of storage. If you would like more information or you have any questions in regards to boat storage, please, feel free to contact us. Storing your boat can be an inexpensive way to get your boat stored somewhere when it is not in use, along with providing you with the peace of mind that it is going to remain in good condition for the length of storage. 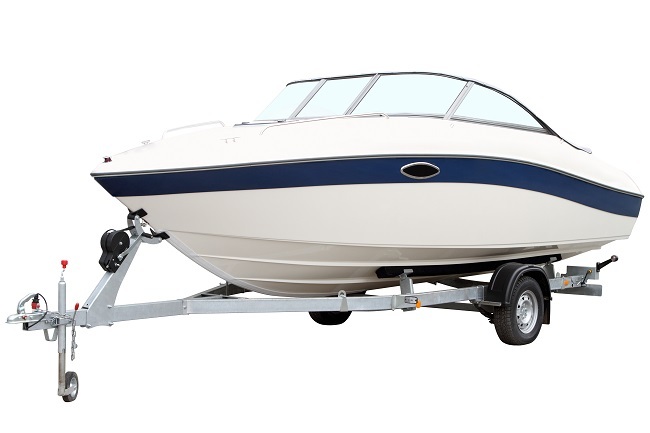 While towing to the boat storage facility and dropping it off seems easy enough, you can avoid any complications later on by taking the time to prepare your boat for storage. Similarly to a car, you want to make sure that your boat’s fuel compartment is always left full when it will not be turned on for a long period. Condensation can end up forming in the fuel tank if it is left empty, leading to major problems when it is taken out on the water again. Any electrical parts need to be protected with the application of anti-corrosion spray that can be used directly on any of the electronics, helping to prevent deterioration that can be expensive to repair later. With the corrosion spray used for every electrical connection, you can store the boat without concerns over anything corroding. Lastly, you need to disconnect the boat’s battery to make sure that it does not drain unnecessarily. By removing the battery and storing it elsewhere or in the same storage facility, you can preserve it so that it can be used again once you are back on the water. If you need to store your boat for a few months or longer due to being out of use temporarily, do not hesitate to contact us about our storage options. The holidays of 2015 are long over and the first month of 2016 is at an end. Storage units are now full to bursting with things new and old. You’re done traveling for the holidays. You’ve packed away all of those holiday decorations. The new gifts you received that are best used in the summer months have also been packed away. There is just one final item to prep and store. You’re RV. Prepping and storing your RV might be old hat to you and for others it may be an entirely new process. Below are a few Do’s and Don’ts for RV storage. Do make sure to winterize your water system: This is especially important in colder climates where snow and rain are a fairly common occurrence. Pouring some non-toxic antifreeze through your water system will prevent freezing and cracking within your water lines. 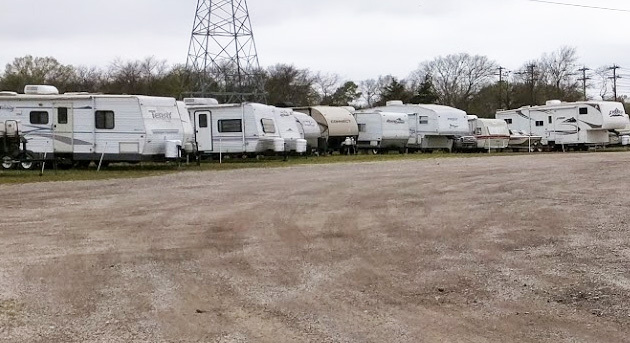 Don’t park your RV just anywhere: Just like Storage Units there are places you can rent to “store” your RV. Some of these places offer enclosed storage and some offer open storage spaces. Many places such as RV Dealerships and Campgrounds offer storage for your RV. That being said it is wholly possible to store your RV on your own premises. If this is the option you prefer then make sure to find a flat piece of ground to avoid unauthorized movement. Also, avoid trees and places where plant life, such as weeds, will overgrow it. Do shut down or turn off any and all appliances within the RV: Making sure you unplug your lamps, that travel coffee maker, the fridge and any other items that need electricity to operate will help ensure your RV’s batteries are not drained when you pull it out of storage. Also, be sure to shut off the main breaker of your RV. Electricity is her own entity and can get up to mischief if not treated with due respect. Don’t forget to give your RV a good thorough cleaning: The last thing anyone wants to have to deal with when they pull their RV out of storage is an infestation of rodents, insects or both. What you’ll want to do is clean out your fridge and defrost it. Clean and dry it thoroughly. Doing this will prevent mold from growing in your fridge. Next, open every drawer, every cabinet and every compartment then clear out any and all food. Even those types of food that come canned or bottled need to exit the RV. Clean and dry every surface from the floor to the ceiling. Like with the fridge, this will keep mold and mildew from building up and becoming prime real estate for bacteria. The above Do’s and Don’ts are but a few tips for helping you prepare your RV for storage be it long-term or short-term. While there are many other tips and tricks out there, these will certainly put you on track. If you have any questions or you would like more information on RV Storage, please feel free to contact us.